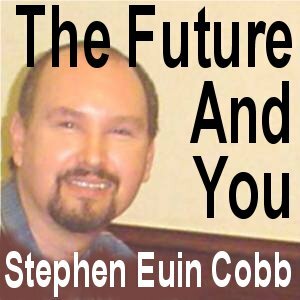 I was recently interviewed by Stephen Euin Cobb for his excellent The Future and You Podcast. We spoke for nearly three hours, so he broke the interview down into three separate episodes. He's published the first two, which you can find here and here. Part three will be posted sometime next week. 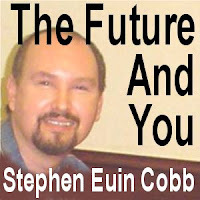 Topics discussed in the first episode: The importance of studying history in order to extrapolate the future; how democratic transhumanism differs from other flavours of transhumanism; why I am a "technogaian environmentalist" and how that relates to Bright Green Environmentalism; the abolition of suffering in all species; political problems of putting a thermostat on the earth; as well as the good and bad of living an engineered blissful existence permanently. Topics discussed in the second episode: Is it wise to use our emotions (especially repugnance) as a guide to truth? Giving protective rights to intelligent animals (apes, whales, dolphins, and elephants), and eventually (when the time is right) to artificially intelligent software; augmenting animals to raise their IQ (animal uplifting); the new movie Planet of the Apes; the movie 2001: A Space Odyssey; better ways to conduct the search for extraterrestrials (SETI); Dyson Spheres; the Fermi Paradox; why Stephen Euin Cobb hopes we will forever move to universes of ever increasing dimensionality; as well as artificially created universes and simulated universes. I'll let you know when the third episode is posted.